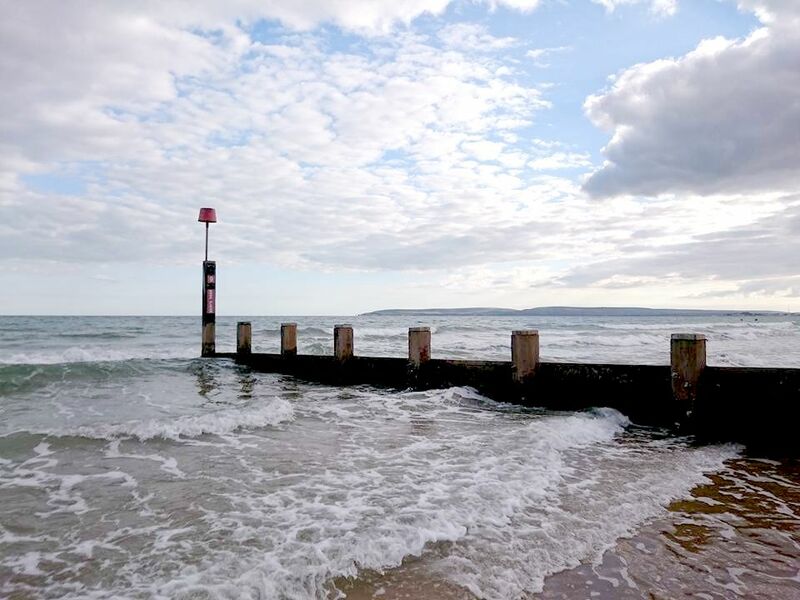 Bournemouth is so close to where I live in Southampton but I've never been there so when Travelodge emailed me about being part of their campaign called #bloggerslodge I said yes straight away. 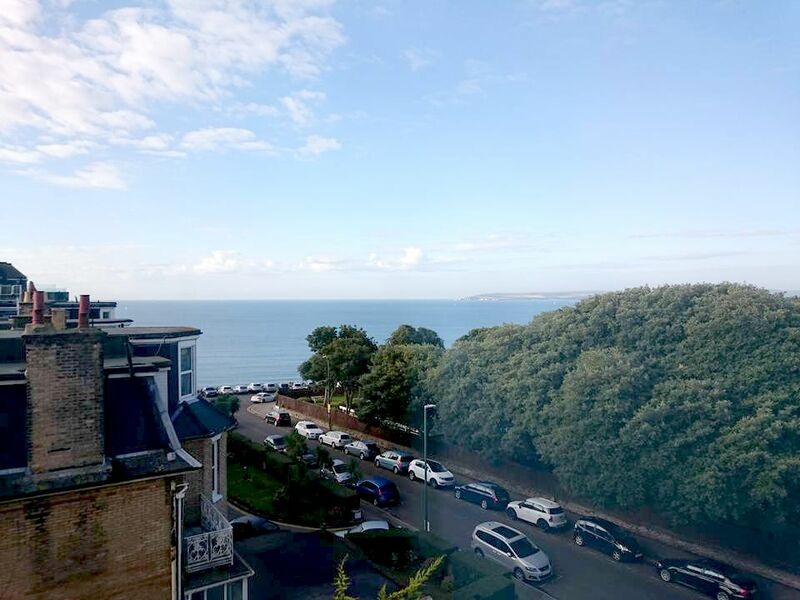 I was able to choose which Travelodge I wanted to stay in and Bournemouth Seaview was a no brainer. Right on the cliffs over looking the beach with beautiful views of the sea. 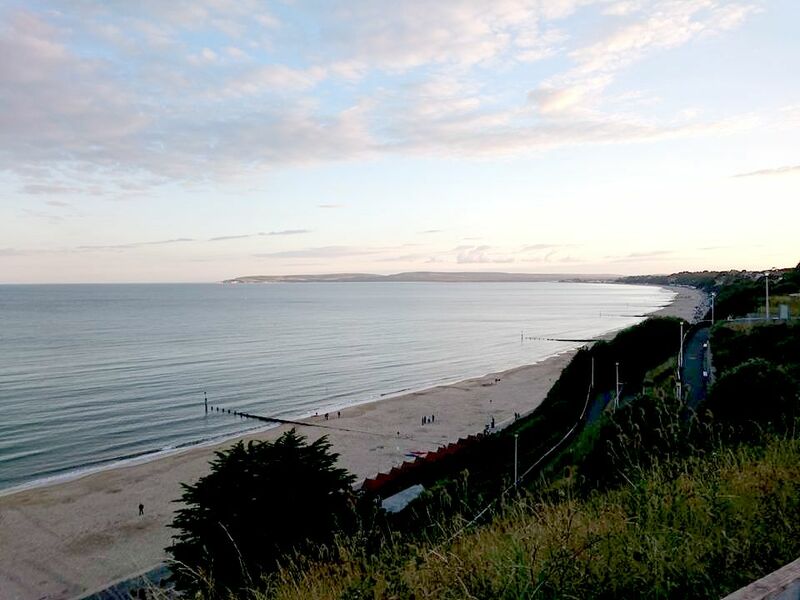 We arrived in Bournemouth around 8.30pm and walked from the station in time to watch the sun set over the cliffs. Welcomed in to Travelodge with smiles, check in was painless. The room was on the fourth floor and had beautiful views of the water which we couldn't quite appreciate until the following morning. 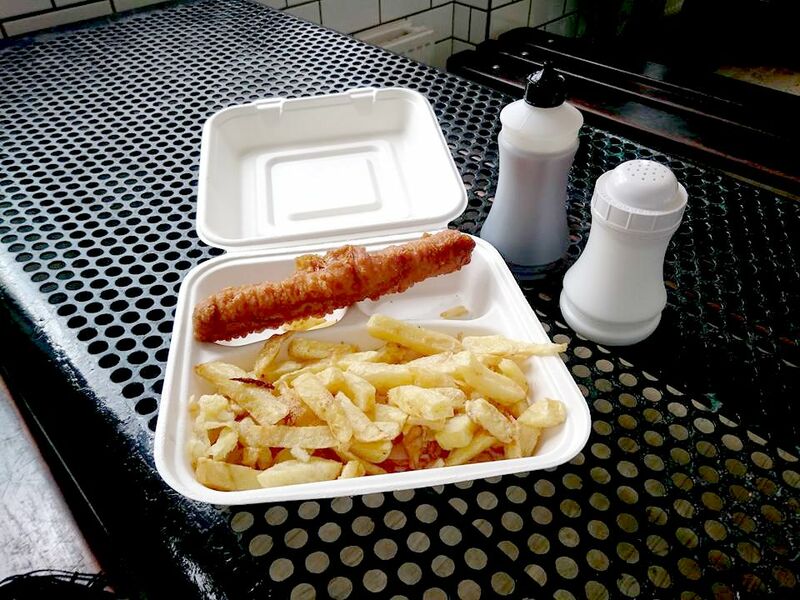 After a quick food stop in a local chippy, friday night was spent chilling in the hotel, watching the fireworks out of the window and an early night in time for spending Saturday exploring. We awoke to clear skies, blue seas and the sun shining on Saturday morning. Breakfast at Travelodge was a buffet and the team were absolute stars for finding soya milk for me. After making a coffee, grabbing some croissants and Nutella pots, breakfast was spent in bed looking out the window. 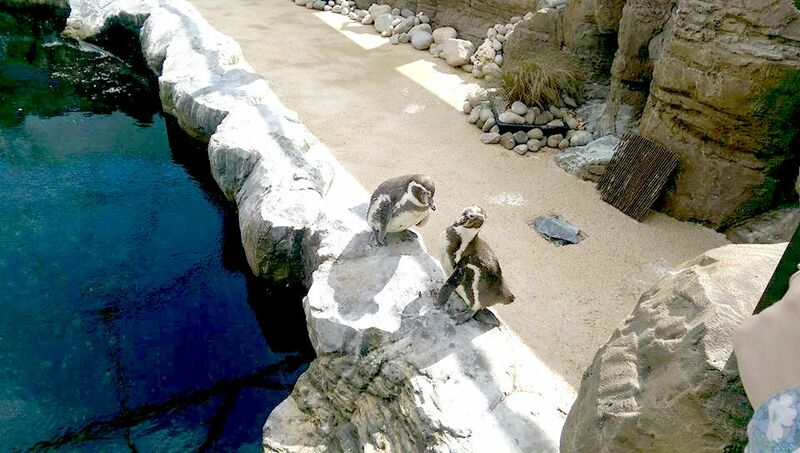 I'd pre-booked tickets for the Oceanarium in Bournemouth to visit the Penguin Beach Encounter, most of you will know I am obsessed with Penguins and I wasn't going to B'mouth and not seeing them! 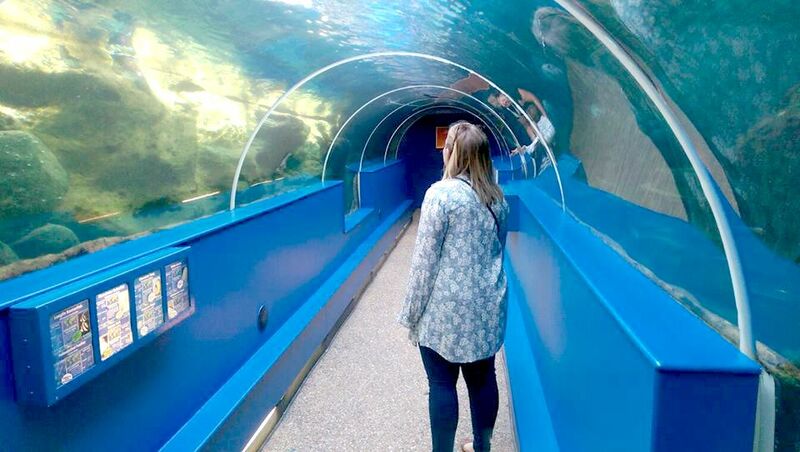 The tickets allowed you to go in and out of the Oceanarium all day which was good. I haven't seen animals in captivity since I was a child so seeing it as an adult was quite upsetting. 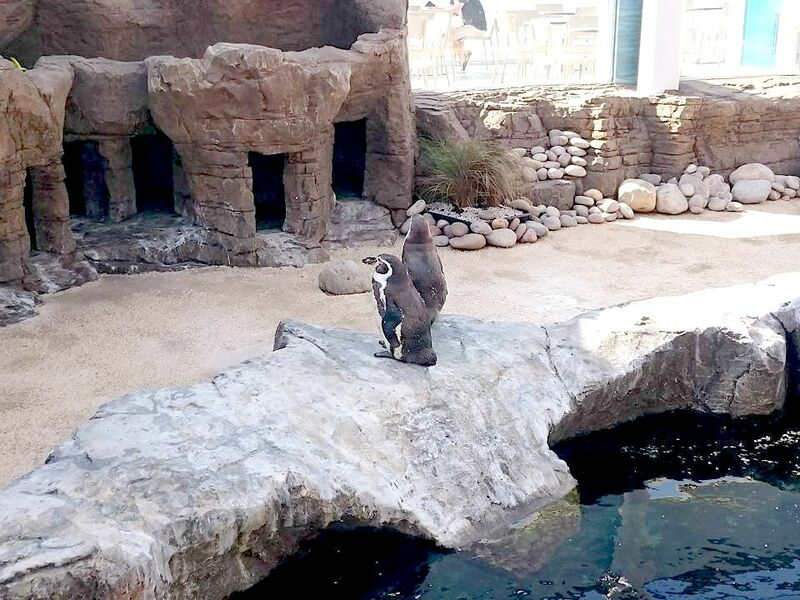 I just wanted to free all the penguins as the space looked quite small even though they said there was space for 24 penguins. I'm sure they take fabulous care of them but I can't help think it's slightly cruel. Especially as Private the Penguin was attacking Darwin, maybe I'm just too soft when it comes to Penguins. After a few goes round the Oceanarium and watching the Penguins get fed, Harry Ramsden's was calling. 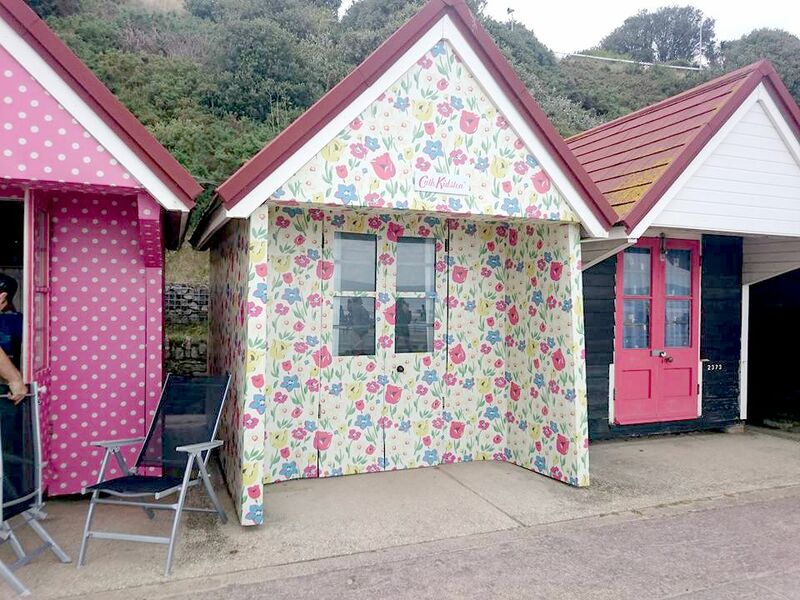 To feel a bit better about having more fish and chips we walked along the beach to the pier, down the pier and back up to the beach huts where Cath Kidston had redesigned four. It was difficult to get a photo of all of them as people were in them and I didn't want to take photos of families trying to relax. Harry Ramsden's tasted incredible and definitely filled a hole. 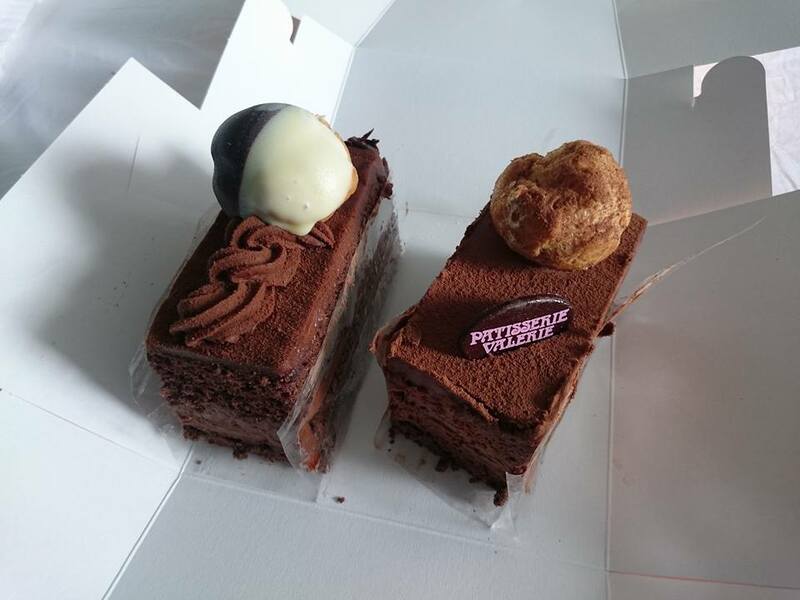 Next on the agenda was to hunt down a cash machine which resulted in falling into Patisserie Valerie and picking up two chocolate mousses. After a long trek back to the hotel, we sat eating the chocolate mousse in the window before having an afternoon nap. After nap time it was time to venture back down to the beach. 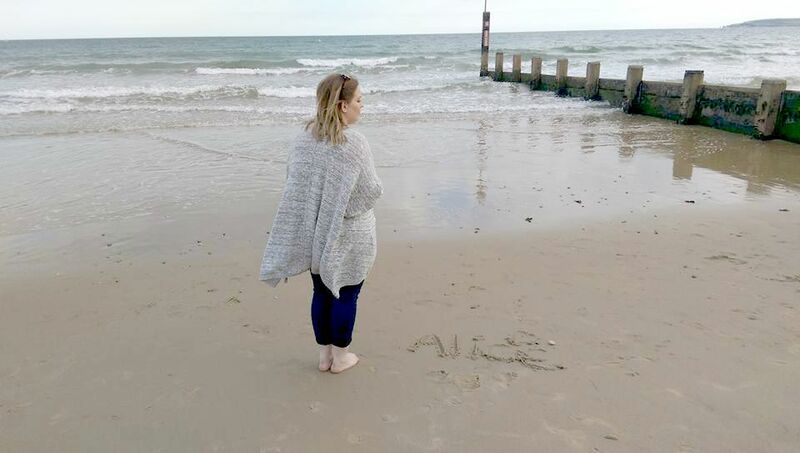 We don't have a beach in Southampton so we were determined to make the most of having one on our doorstep for the weekend. After buying some dinner and wine, we walked down from West Cliff and on to the sand to catch the last of the sun and just take in the views. We sat for hours, collecting shells and walking in the tide before sitting and watching the sun set. It was the perfect evening and I wouldn't of wanted to spend it any other way. I've grown up around the sea so it's the one place I can go and feel completely calm and relaxed. Sunday morning was spent lazing in one of their new kingsize beds, eating breakfast and watching old re-runs of The Bill (my guilty pleasure) as check out wasn't until 12pm. Again the breakfast staff were fabulous and one of the woman recognised me and brought out the soya milk straight away. The hotel was fully booked this weekend but each member of staff treated you like you were the only ones there. 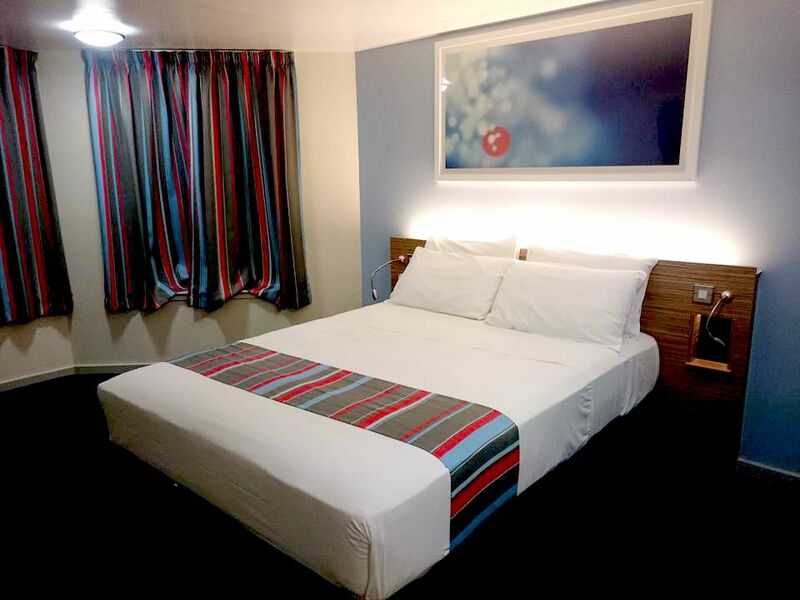 For a budget hotel, it made all the difference. Dan checked us out in the morning with a big smile and he also called us a taxi to the station and wished us a safe journey home. 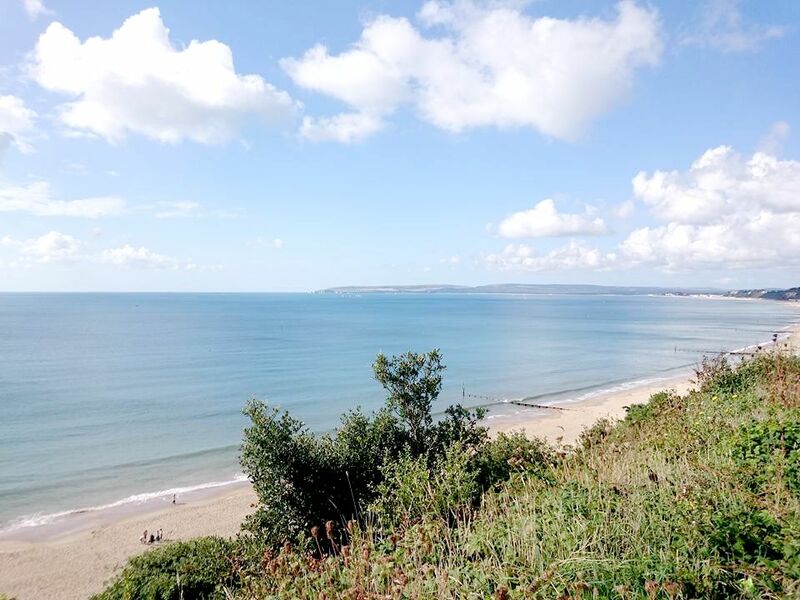 It was such a lovely weekend and we're already at looking at coming back down to stay with Travelodge again in Bournemouth as the location is so perfect. We'd have to have room 419 again though as the view was just incredible. Hotel stay complimentary for the purpose of this post - see disclaimer. Looks like you had a great time! Those chocolate mousses... mmmm! Cute photos - looks like you had a lovely time too. A staycation is such a cute idea, especially if you're on a budget! Cute photos, looks like a lovely trip. 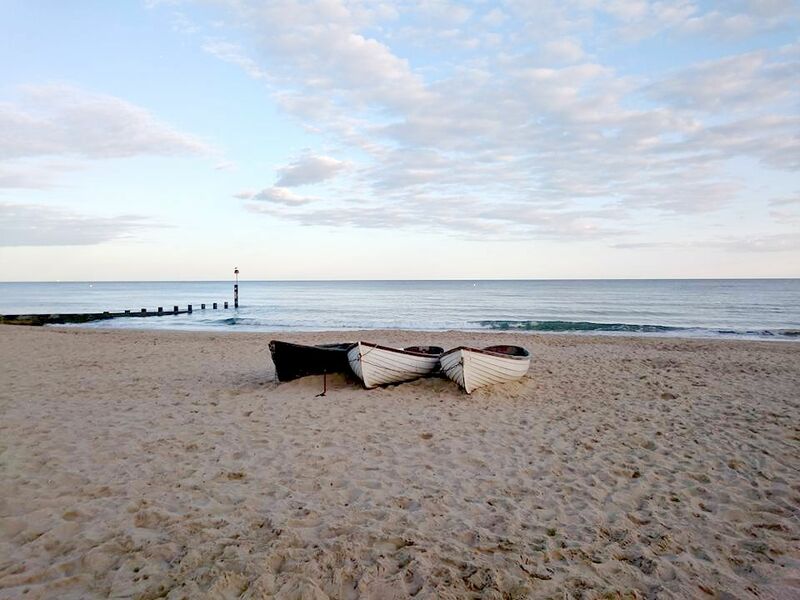 I've actually never been to Bournemouth but heard fab things about it! such pretty pictures. 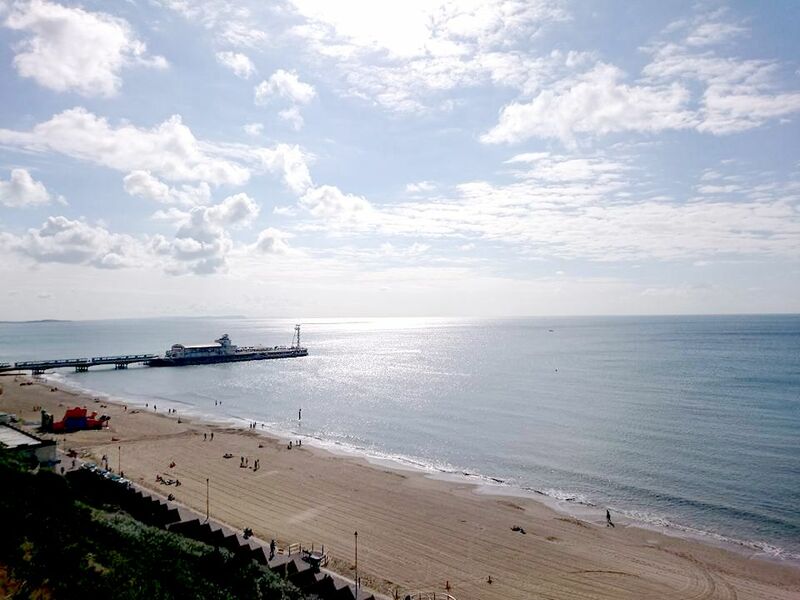 I love the look of Bournemouth but have never been! What a beautiful view. I love bournmouth and also I'm a travelodge fan. They're great for clean affordable rooms especially for little adventures.